The list is endless. My answer? No way, no how (at least not now). New TLD extensions are fun. They bring a big, fat refreshing feeling to how you can brand your business. Only, there’s plenty that can go wrong. As you saw in my video, the search engines are very careful about which new TLD will rank. Well, the honest truth is none of them will in the coming years. So do you or don’t you? Hmmm…if it were me and I really wanted one, I would buy it and then simply park it for a while. Consider it a tiny investment in possibility. Remember, .COM, .NET and .ORGs are the grandfathers of all things online. So to abandon your current domain that has age attached to it is major mistake. I know, it’s a monster trick to avoid thinking about your new TLD. You’ll probably lay down tonight in bed pontificating which one will be yours. Going all ga-ga over it will merely drive you to toss and turn. Slow down. 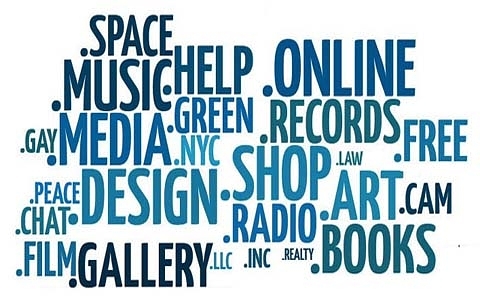 Even if you dive in head first and a buy a few, DO NOT think about converting your old domain to your new TLD. Doing so will crush your rankings faster than it will take you to call your IT guy to have him switch it back. Keep an eye out. Very soon you will be seeing a plethora of advertising suggesting the unlimited opportunities you have buying new TLD extensions. Don’t forget, you have an opportunity to become a better person, win mega bucks and even perhaps sell that screenplay you’ve been working on for six years. New is good. It always catches attention. But switching your focus from what works to what might work always comes with fine print. Usually with a sentences including the words ‘no guarantee’. What should you do? 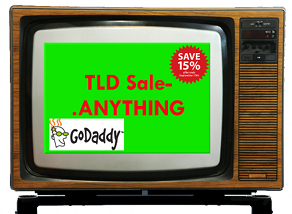 Heck, go wild and buy a few new TLD extensions if that’s what floats your boat. But buyer beware. It won’t catapult your site on to the first page of Google. Think about all those miles of code Google has hard-wired into their algorithms. They’re not about to rewrite them all now that the new TLD names are for sale. Not to mention it’s going to be tricky waters in the coming years. The search engines have billions invested in how they rank traditional domain extensions. Although they may be cozy about profitable ways of monetizing a new TLD crowd, it’s going to take a few years for trends to emerge. We’ve all seen this kind of hype many times. Don’t you remember Fen Phen? If not, it was a miracle diet drug even Time Magazine couldn’t resist featuring in 1992. If you think the new TLD reports bring a smile to your face, just remember how many people gobbled down Fen Phen like Skittles. However, what they didn’t know is cause irreparable heart value disorders. Am I opposed to scooping up a new TLD for my firm? No. But honestly, I’m not big into new blips. I prefer trends that have years of evidence they deliver. Learn why relevancy standards will always work better than buying a new TLD.